Can Filipino Immigrants Claim Their Philippine SSS Pension? Yes, Filipino immigrants can claim their Philippine SSS pension when they turn 60 years old. Yes, even if they’re already naturalized citizens of another country. 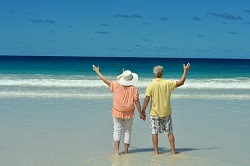 How and Where Can I File My Retirement Claim When I Turn 60 Years Old?
. You can take a vacation in the Philippines and file your claim.
. If you’re not able to travel to the Philippines, you can authorize your trusted representative in the Philippines to file your claim. You will need to authenticate your Special Power of Attorney and other documents at the nearest Philippine embassy or consulate.
. Or if you’re near an SSS office overseas that’s processing claims, you can file your claim there. See here 10 Philippine Consulates in the US that offer consular services. I’m now 60 years old but I’m still working overseas. Can I file my claim now? Yes. Voluntary Members and OFWs are not required to submit Certification of Separation from Employment or Cessation of Business or Self-Employment or Certification of No Earnings when they file their retirement claims before age 65. Once you pay your contribution as Voluntary Member, your membership category automatically changes to Voluntary. Proof of separation from employment or cessation of business or termination of contract or no earnings is not a requirement. You don’t have to wait till you turn 65 to file your SSS retirement benefit claim. You just need to make sure your membership status has been changed to Voluntary Member. If you’re already 54 or older, or if you plan to make this payment your last contribution payment, I suggest that you pay the current maximum monthly contribution (1,760 pesos as of March 2019). SSS uses the last 60 monthly contributions as basis for computing the average monthly salary credit (one of the two basis of SSS pension amount). If I decide to file my claim through a representative in the Philippines, what are the additional documents required from me?
. Special Power of Attorney (SPA). Your SPA should specifically state that you are giving the authority to your attorney-in-fact (representative) to file and sign your SSS claim documents for and on your behalf. The SPA should not be more than one year old, if issued abroad, and should not be more than 6-month old, if issued in the Philippines. The SPA should be authenticated at the nearest Philippine Embassy or Consulate, or an SSS Foreign Representative Officer. Here’s a template for a Special Power of Attorney (SPA). Here’s another sample SPA form. These SPAs are just examples. You need to change some words to fit your purposes.
. Retirement Claim Form must be accomplished by the member. I no longer have my Philippine IDs, can I use my IDs here where I’m now a resident or citizen? residency card, and work permit) shall be accepted in the absence of Philippine-issued ID or documents. Where can I get SSS Retirement Claim forms? You can download them from the SSS Website or from our Google Drive files. If you have none of the above, present any two secondary IDs. – If name and/or account number is not indicated on the ATM card, present a copy of initial deposit slip. – If you don’t have a Philippine bank account, accomplish a Visa cash card enrollment form, issued by an SSS-accredited bank. One of these is the SSS Visa Cash Card issued by CTBC Bank. Contact SSS about their Visa cash card application form. Note: All documents must be in English. If not, submit English translation. What will I get from SSS as my Retirement Benefit if my total number of monthly contributions is less than the required 120 to qualify for pension?
. File your claim upon turning 60. You will get a Lump Sum, a one time payment of benefit. The amount is equal to the total of all your monthly contributions (including all your employers’ contributions to your account) plus interest. Once you claim it, there will be no more benefit from SSS that you can claim. The only one benefit remaining is your Funeral Benefit, which will be claimed by your heirs after your death.
. Choose to continue paying your contributions to complete the required 120 contributions. This is only viable if you have already accumulated more than 60 contributions. You must be able to accumulate 120 contributions before you turn 65, the mandatory age of retirement. 1. Basically, a Filipino immigrant is still a Filipino citizen. Republic Act No. 9225, known as the Citizenship Retention and Reacquisition Act of 2003, declares that natural-born citizens of the Philippines who become citizens of another country shall be deemed not to have lost their Philippine citizenship. If you like to formalize your dual citizenship, here’s the process as described in the Bureau of Immigration website, or you can go to the website of the Philippine Consulate in Los Angeles, California, which gives more detailed information. 2. There are already many Filipinos who have been naturalized citizens of other countries that have been receiving their Philippine SSS pensions monthly. Filipino pensioners abroad have been filing their ACOP or Annual Confirmation of Pensioner’s Form every year on their birthday month. Many have been using Visa debit cards to receive their SSS pension monthly. Recently, it’s Chinatrust (now CTBC Philippines) that has been issuing Visa debit cash cards for SSS pension withdrawals abroad. 3. Here’s the case of Philippine SSS pensioner in the UK, Mrs. Epigenia Belarmino. As published by UK-based Pinoy new site AdoboRice, Mrs. Belarmino, a British citizen living in the UK, received her lumpsum benefit of 332,817.12 pesos in 2012, representing the total of her monthly pensions for 5 years, which accumulated because she filed at age 70. She also started receiving her monthly pension of 3,513.84, which will be for life. She was thankful to the SSS office at the Philippine Embassy in London for helping her process her Philippine SSS pension. While working in the Philippines from August 1957 to July 1977, Mrs. Belarmino paid contributions to the SSS, accumulating a total of 20 credited years and total contributions of 3,176.06 pesos. 4. Section 15 of the 1997 Philippine SSS Law, RA 8282, states that the SSS may pay benefits without regard to nationality or country of residence. It also implies that a national of a foreign country can receive SSS benefits as long as his or her country is recognized by the Philippines and is also extending benefits to Filipino beneficiaries in the Philippines. SEC. 15. The SSS shall promptly pay the benefits provided in this Act to such persons as may be entitled thereto in accordance with the provisions of this Act: Provided, That the SSS shall pay the retirement benefits on the day of contingency to qualified members who have submitted the necessary documents at least six (6) months before: Provided, further, That the beneficiary who is a national of a foreign country which does not extend benefits to a Filipino beneficiary residing in the Philippines, or which is not recognized by the Philippines, shall not be entitled to receive any benefit under this Act: Provided, further, That notwithstanding the foregoing, where the best interest of the SSS will be served, the Commission may direct payments without regard to nationality or country of residence. Hi Mam,ang nanay ko po ay kasalukuyang tumatanggap ng sss pension sa philippines. Sa ngayon po ay 28 yrs na syang naninirahan dito sa winnipeg,canada. Paano po ba ang dapat gawin para dito sa canada matanggap o iforward ang kanyang pensyon dahil nahihirapan na syang magtravel to philippines? Sya po ay 85 yrs old na. Dahil baka po masayang lng ang pera nya kung may mangyayari sa kanya dito sa canada. Sa ngayon po ay may pera pa sya sa banko na natatanggap mula sa sss. Salamat po. Good day ma’am,yung parents ko nag work sa US for two years at umuwi sila 2012 dito sa pilipinas dito na run tumira, maka tanggap po sila NG SSS pension? Or pwd po ba e lump sum yan? I wld like to file my sss pension, if you don’ t mind can u hplease let me know how to start . Thank you. Paano ba mag file ng ACOP-VC? I’m planning to become a US citizen n my green card is about to expire. Can I still receive my SSS death pension from my husband who passed away 2010? And I’m still single? And what if I remarry? I am now living in the United States. My SSS pension used to be sent to my designated bank in Cebu City, Philippines. A month ago I requested SSS Cebu to send my SSS pension to my address in California. They agreed to my request. Last week, SSS Cebu informed me via email that my first check was mailed to my address in California and that the check was in pesos. I am requesting SSS Cebu again to send my SSS check in dollars so I can cashed it through BOFA. Do you know of any case in which Philippine SSS check is sent to a US resident in dollars. Hi Clarita, try mo nga muna mag-enroll sa SSS online kung maka-enroll ka, so you can check your records and you can also check if you’re qualified for filing your claim online. Here’s how to enroll in online SSS. I’ll email you. About filing your claim at the San Francisco CA office, yes, you can. Check first the required documents, so you can complete them before traveling. Hi Shellah, I think na-mention ko itong section na ito dahil sa question from an Indian national who got employed for many years in the Philippines. He asked if he’s eligible for a pension when he turns 60 as an Indian national living in India. If this person completed 120 contributions to the Philippine SSS, then he can get his monthly pension Philippine pension if India is a country that also gives pensions to Filipino nationals who have completed pension requirements in India. As of today, India and the Philippines do not have a social security agreement (SSA), so what the Indian national could probably get is a refund of all his contributions after he files his claim when he turns 60. I think it’s a different case for a Filipino who has immigrated and become a citizen of another country (even if that country has no SSA with the Philippines). If he has completed 120 contributions, he can still claim his/her pension. One reason is that Filipinos can be dual citizens. Besides the retirement claim form does not ask one’s current citizenship, only place of birth, and SSS accepts IDs issued in foreign countries. Can you please explain in layman’s term Section 15. Particularly “That the beneficiary who is a national of a foreign country which does not extend benefits to a Filipino beneficiary residing in the Philippines, or which is not recognized by the Philippines, shall not be entitled to receive any benefit under this Act: ”. Hi good day, what about for gsis? Can filipino immigrants also claim gsis pension? Thanks. ? Hi! Ms. Nora!My mom is 67 yrs old and living here abroad for almost 7 yrs now. But she want to claim her pension she completed the contributions. We are going to philippines next week but my mom stay here . If possible I can fix my mom pension on behalf of her? What I need to do? Hi Karl, check again your SSS number. It should consists of 10 digits. I think the first digit is zero for most members, but I’m not so sure. You can email ofw.relations@sss.gov.ph to ask your SSS number. You are not OFW, but overseas Filipinos can use this email address for faster reply. Subject can be: SSS Number Inquiry or Please send me my SSS no. You can also send a PRIVATE message at the official SSS page at Facebook during office hours Philippine time. In both email or Facebook, attach scans or shots of 2 of your primary photo IDs. Hi! Nora. I’m trying to register for an online Member User ID account but am encountering difficulty completing the registration because of this one item called *Required Field >> “Please supply the following Information as reported to the Social Security System* CRN/SS Number”. I typed in my 9-digit SSS Membership Number but it was rejected as a wrong input? My question is then, what is a “CRN/SS Number”, and how to I get it from the SSS? I live in new Zealand so is there a way I can get it online? Thanks. Hi Elly Grace, yes, your father can still file for his lump-sum benefit. That’s his money. His lump sum will be the total of all contributions posted under his name plus interests earned. Hi Ruby, yes, puede kang Voluntary or OFW. Sa definition ng OFW, meron ito: permanent resident in a foreign country. Ang Voluntary naman is any member who was FORMERLY a paying employed, self-employed, OFW or non-working spouse. Ang difference lang ng Voluntary at OFW ay sa payment deadlines. An OFW can pay for any month of the year during the current year. Pag Voluntary, deadline is the last day of the month following the month or quarter being paid. Hi! Magandang Araw. I have a SSS no.118 Contributions already. I am now married a German National, plain housewife at the age of 44, mother of 2 kids. And i almost 8 years living here in Germany at the same year, I Stop paying my SSS. My question is What type of Category should i choose? Is it Voluntary and/or OFW? I like to Upgrade my monthy Contribution too. Is it possible? Thanks.? Hi Nikki, yes, puedeng mag-continue kahit nasa US ka na kasi sayang din. Mag-maintain ka lang ng Bancnet bank account mo dito para online ka na lang magbabayad sa SSS at I hope naka-enroll ka nasa SSS online. In 1-2 years baka mapetition na ako ng husband ko then eventually ay maging US citizen na din, ang tanong ko lang pwede ko pa rin ba ipagpatuloy un contribution ko kahit maging US citizen na ako? Hi DY, walang new memo about SPA use in filing pension claims. I observed lang na hesitant ang mga ibang officers na mag-process ng pension filed by a representative, based sa mga comments dito. Mas tinatanggap nila kung galing sa mga places abroad na merong SSS offices at representatives. Sana mag-vacation na lang ang mother mo para makapag-file siya in person. If not possible, you can try other SSS branches, and explain why your mother is not able to come to the Philippines kahit malapit lang ang Bangkok. Hello Nora..,Ask ko lang po if may bago bang memo ang sss na kahit may SPA for your representative pra mag process ng pension for a voluntary member ay hindi accepted? Nasa Bangkok ang mother ko., then ung SSS LumangBayan Calapan Oriental Mindoro ay ayaw magbigay ng assistance kasi need daw ng Physical appearance ng member..
Hi Rowena, sorry, not yet. Withdrawal of SSS contributions is not allowed. You can claim your money when you turn 60. Hi Lucinda, yes, kung wala ka pang 60, you can continue contributing to SSS as voluntary member to increase your pension amount. If you are already 54, it’s wise to contribute the maximum contribution, as one of the 2 basis for pension computation is the average of your last 60 monthly salary credits. About claiming one’s lump sum before age 60, it’s not allowed, even for those who have immigrated. Hi Steve, enroll in SSS Online. You’ll see your contributions and other data, including your pension estimate after you have contributed at least 120 contributions. How do I check if I my contribution to SSS is within the 120 mos which is the minimum requirements. Appreciate your help. • Proof of separation from employment/cessation of business/termination of contract/no earnings is not a requirement” so ibig sabihin, puede nang mag-file, kasi hindi ka required na mag-submit ng proof of separation from employment. Hi Milagros, hindi ma-cut-off, kasi nasa lump-sum period ka pa naman. Sa Oct 2018 pa naman mag-start ang monthly pension mo. So okay lang if you send your ACOP ngayon lang. Next time halimbawa na ma-late ka sa pag-file ng ACOP, hindi naman mawawala ang pension mo, iho-hold lang nila, at pag naka-submit ka na, ibibigay na lahat ng pension mo na na-hold at naipon. God bless you rin. Hi Nora, mag.inquire ako sa aking ACOP. Last yr.2017 tumanggap ako ng aking first pension (lump sum). By October 2018 is my continually pension. February 18, was my birthday! Ngayon ko pa Lang malaman na before birthday pala mag.submit na ng mga documents. Isa.submit ko pa lang ngayon. Paano iyan, ma.cut off ba ang aking pension? Please help. Hi Venky, it’s nice to know that you liked working in our country. 1. Sorry but unlike Pag-ibig, the SSS does not allow withdrawals of contributions for any reason. In your case, you just have to wait until you turn 60 years old, then come back and file your retirement claim. If you have accumulated 120 monthly contributions, you’ll qualify for pension, but I don’t know as of this moment what they will give you — a lump sum (total sum of all your contributions plus interest) or a pension. I have to do further research on this one. What I’m sure about on this post are Filipino-born who have become citizens of another country. Pension is still possible because Filipinos now are allowed double citizenship. I’ll email you once I come upon something that can answer this issue. Hello Nora, Appreciated the article very much as this came closest to what I am searching for. I am an Indian working in Philippines since 2005. Due to personal circumstances I might have to move back to India in a few months. Given this what options do I have in claiming SSS benefits? 1. Can I withdraw SSS contributions similar to Pag-Ibig which allows withdrawal when leaving the country permanently? 2. If not, is India one of those countries recognized so Indian nationals who worked in PH for a long time can avail SSS pension benefits? Hi Mila, I’ll send you the guide. If you have a UMID card, or any of the required IDs, register for an SSS online account so you can check if you really have 120 contributions. If less than 120, complete first your 120 contributions before filing your retirement claim. Hi Victor, if you’ve been a long-time client of your current bank, ask them if they can accept your Philippine peso check for deposit into your dollar account. If they accept, there would be a charge and it will take about a month to clear. If they don’t accept, sorry I don’t know of any other way other than to open a peso account in the Philippines. There are two PNB Remittance Centers Inc. offices in Chicago. You can also ask them if they can help you open and activate a Philippine-based PNB account while in Chicago. Hi Nora, Iam 62 years old I completed the 120 months contribution… Ano ba ang mga kailangan ko pag nag file ako ng Sss retirement pension? Hi charisa, yes, you can try filing. Required na dapat nag-file ka ng maternity notification sa SSS BEFORE giving birth, pero if SSS accepts your reason why you were not able to file BEFORE delivery, they might process your claim. Isa pa, make sure na meron kang at least 3 posted contributions within the 12-month period BEFORE your semester of delivery. Tell me your child’s birth date so I can tell your 12-month period. hi nora i would like to ask if i can still get a benefit from sss even if i already gave a birth to my child? its my pleasure to have a response from you. thank you. My dad was already past 70 years of age. When we come to know about this information. He was not able to get his SSS pension because his employer failed abroad failed to finish the 120 months for did not pay my dads monthly contribution. Is it possible for my dad to still get a lump sum of his total SSS contributions? please help us. Thank you. Hi! I have a question – i am currently pregnant with my first child and would like to claim a maternity benefit from SSS. However, I am a permanent resident in Australia (Melbourne). How would I be able to claim my SSS maternity benefit. Can I ask my parent (mom) in the Philippines to process this on my behalf? Would it be posible if i will process my Sss pension even if am now here in America.what will i do. Hi Nora my husband is British, can I declare him as my beneficiary? I got married in the Philippines if that helps. Where can I get an ACOP form , im living in houston texas 78 years old & a dual citizen , weak to travel long by plane . , is it necessary for me to go to philippines even filing up an Acop? Is it possible that the sss philippines will direct deposit my monthly pension right here in any bank in houston , texas.? Please advqice & thanks in advance . , is it necessary for me to go to philippines even filing up an Acop? Is it possible that the sss philippines will direct deposit my monthly pension right here in any bank in houston , texas.? Please advice & thanks in advance . Hi po yung father ko po ay may disability claim sa sss 34 Months lang una nila na print ginawa po lumpsum ang claim nya pero lumabas sa computer na may mga contribution pa na di nila nasama pwede pa ba kmi mag file ng retirement khit may makuha kmi sa disability nya? Hi! My late mother died on Dec 21,2014. Her last pension was credited in her bank last June 2012 after that she didn’t get any pension due to ACOP from July 2012 till her death. How can I get her unclaimed pension for the suspended period July 2012 to Dec 2014. I am not a citizen of the Philippines, I had a student visa previously and I’m applying now for either a working visa or a Temporary Resident Visa. Am I entitled to a pension? I am being required by my company to pay it, but as per my knowledge, foreigners that are not citizens are not entitled to a pension. Hello Nora, both me and my husband are living in australia, we continued to contribute fora year now up to the maximum my husband will be sixty in three years time. Can he claim pension at 60? Hi Karen, did you use a SPA to file? Did they not give you an acknowledgment stub? You can email ofw.relations@sss.gov.ph and follow-up. Subject: Retirement Claim from USA – [Name and SSS No.} In the body, mention member’s name, SSS number, date of birth, date when filed, SSS branch where filed, name of representative with SPA who filed, and then your requests. Ask also how the member can get or receive the Visa cash card. The email is for ofws, but it’s also used for non-OFW Filipinos living abroad. Hi Karen, no, sorry, SSS does not accept retirement claims online. Hi Karen, were you able to submit your father’s bank account number (bank account based in the Philippines) together with the claim? Or did you also file a Visa cash card application form (available at SSS) when you filed your claim? Because the pension is given monthly through your father’s local bank account, and if the pensioner is abroad, it’s the Visa cash card (Philippine based, but can be used abroad) which is being used. Hi nora. We want to claim my dads retirement benefits he is already 60 years old and we already submitted the requirements in philippines. We just need to claim it. How we will process that? We are here in los angeles. Hi ritz, no, it should be your own account, your name. SSS will give a Visa cash card application form that you will fill up (your relative can send you by mail). I don’t know if they’ll allow your relative to fill up the form in your behalf (using the SPA), but if not, you’ll fill up the form and send it back here. hi nora it’s me again. if a relative can lodge on my behalf, will sss accepts her bank details? i have disability that restrict me to travel. Hi ritz, oh oks lang, but thank you for clearing it up. About your other question, sorry there’s no SSS office in Australia. Hi Nora, just wondering if I can still claim the maternity benefit from SSS even if I am a permanent resident in Australia. If yes, would you know what would be the process. Thanks! sorry nora those question marks suppose to be a thumbs up.thanks again. i’m in australia. yes sss pension.thanks for the info. Hi ritz wintle, did you mean an SSS pension claim? Are you very far from an SSS office abroad? If very far, yes, you can authorize your relative to file your SSS claim using a SPA with specific powers/authorities written, including authority to sign in and for your behalf, and addressed to SSS. just would like to hear a reply from you.can a relative in the phils lodge a claim on my behalf? hi nora i’m 63yrs old had worked from 1979 to 1997 and now a citizen of australia. my question is, can a relative in the phils file my claim in my behalf? or is there an sss office here in australia? maraming salamat po…. Hi, this might help. I decided not to continue my contribution since I am not planning to settle in the Philippines. In that way, I can have a lump sum payment. Hi Noel, sorry hindi nawiwidro ang SSS contributions, kahit yong mga nag-immigrate na sa ibang bansa. What to do? Wait till you turn 60 years old, and then file your claim for your Philippine pension. Puedeng mag-pension kahit nasa ibang bansa ka. At present, Visa debit card ang ginagamit for pensioners living abroad. Yong Pag-ibig savings, yon ang puedeng iwidro na ng mga nag-migrate. Hi Nora, not pension related. Im here in the US and married to a US Citizen. My question is, can I claim a maternity benefit kahit andito ako sa US? Hi Bea, is her Philippine SSS pension her own retirement pension? Meaning she turned 60 and claimed her own retirement pension from SSS in the Philippines? Or did you mean her SSS Philippine pension was from her first husband who has passed away? And that now she has a second husband abroad? Hi Jenny, yes to both questions. You are the SSS member, so remarriage or change of citizenship or receipt of other country’s pension will not affect your Philippine SSS pension. It’s also good to change your civil status now. Here’s the SSS Change of Member’s Data form. You support this with a copy of your annulment declaration by the court (Certificate of Finality of Annulment/Nullity or annotated Marriage Contract/Certificate, if due to annulled or void marriage with previously reported spouse). Normally this is done in person at any SSS branch. But I just asked SSS through their FB page if it’s possible to do this via email. I’ll inform you when I get a response. You can also ask ofw.relations@sss.gov.ph (the email address of SSS members abroad, whether OFWs or not). hello, I am annuled and continuing my sss contribution, If i will marry again, will i still be entitled for an sss pension once I reach 60? My second question is what If I become a US citizen and receive pension from US, will I still be getting my SSS pension in the Philippines at the same time? Thank you. Hi Riz, yes, you can claim your benefits from Pag-ibig and SSS, and you can claim them through your representative that you will authorize through a SPA. Yes, you can download the claim forms from SSS and Pag-ibig’s websites. Pag-ibig has its own SPA form. If you contributed at least 120 contributions to SSS, email SSS at ofw.relations@sss.gov.ph and request them to send you a form for opening a Visa debit card in the Philippines (for your pension releases). Write your full name, SSS no., date and place of birth, and attach a scan or clear photograph of your SSS ID or if none, at least 2 other valid IDs. They don’t have this debit card form on their downloadable forms. Hi Nora, I need your expert advice regarding CLAIM FOR LUMP SUM with SSS & PAG-IBIG. I worked in the Philippines for 11 years and has been paying my contributions until I moved permanently to the U.S. Please advise on how to apply for the claims and what are the requirements… Do you know if the claim forms can be downloaded from the websites? Hi Lyn, yes, kahit hindi ka na Filipino citizen at Canadian citizen ka na at the time of your retirement, you will still get your pension. Maraming nagpe-pension abroad who are no longer Filipino citizens. Dalawa kasi ang basis ng pension amount: 1. yong average ng last 60 monthly salary credits mo (AMSC) at 2. yong number of credited years of service (CYS). The higher these 2 numbers, the higher the pension. So siempre, if you continue paying, you are increasing your CYS. The ideal situation would be yong last 60 salary credits ay puro maximum. Good day! I’m a permanent residence here in Canada married to a Canadian Citizen contributing over 17 years in SSS as an employee. Before I left Philippines, I opted to continue my contributions in a monthly basis to a maximum contribution as Voluntary member. My question is, can I still avail my pension once I reach 60 even if I will change my citizenship? Any recommendation, if it’s advisable to continue my contribution until I reach my retirement age? Can I ask further on how to compute monthly pension? Thank you & anticipating your favorable reply to this matter. Hi Lorna, yes, you can claim your SSS pension when you turn 60. To facilitate your claim later on, change your personal data asap, so your SSS records will match your current passport and other IDs. Do you live near the SSS office in the U.S.? You can file your data change there. 5. I will immediately notify the SSS in case any of the above listed children die, marry or become employed, or I cohabit or remarry. 2. A PERSON WHO CONTINUOUSLY RECEIVES MONTHLY PENSION DESPITE OF REMARRIAGE OR COHABITATION SHALL BE CRIMINALLY LIABLE UNDER RA 8282 (Social Security Act of 1997). Wish you all the best in your marriage! i am a filipina widow and receiving a survival pension. i am going to UK to marry my British fiance. my question is..can i still receive my survival pension after marrying my British fiance in UK? Hi Marivic, sorry you’re not allowed to withdraw your SSS contributions. Your options: 1. stop contributing, then file your claim upon turning 60 (pension, if you have 120 contributions, and lump sum if you have less than 120). 2. Continue contributing to accumulate 120 contributions or to accumulate more than 120 to have a higher pension amount. Take note that the basis of pension computation is your last 60 contributions and the number of years you contributed. Yes, you can claim your pension even if you’re already a citizen of another country. Hi Good Day.How about I am not already a pensioner and ill become citizen of another country what step i am going to do to claim my contribution or can i withdraw or pullout it?or can i continue the contribution even if im on another country?and will get pension when im old? Hi reyofel, I’ll reply to you in a post so it will be read by more people. I’ll put OFW in the post title, although you’ll soon to be a resident. I’ll give you the link later. I have paid the maximum monthly contributions of 126. AT present i am working in New Zealand, applying for a permanent residency.If I stop paying contribution, what is the effect on my pension? Some advice, to continue paying because the basis of computation is based on the last paid contributions. Should I continue paying until I reach the retirement period. Will it be beneficial on my part? Please advise what to do.I am 34 years old only. Hi Joe, I wonder how your colleague was able to withdraw all his SSS contributions, as this practice was disallowed starting 1964, according to the March 2012 SSS Newsletter. The SSS FAQ page also says that withdrawal of SSS membership is not allowed. What I know is SSS contributions can be refunded if they’re paid by a member who does not have a Date of Coverage, meaning he was not registered by an employer and did not register as self-employed. It’s also possible your colleague was served by an SSS officer who found a valid reason to make a Refund, and not release a withdrawal. I’m not sure if it will be successful, but if you decide so, when you take your vacation here, you can try requesting for a Refund of all your SSS contributions at the main office in Diliman, also saying you’re already an Australian citizen and you’re not coming back to the Phils, and see if you can get back your contributions too. Hello Nora. I migrated to Australia year 2000. Before that I worked in the Philippines for a total of 5 years (less than 120 contributions). I have a colleague here in Australia who migrated in 1996 and before he left, he was able to claim ALL his SSS contributions. He said he was able to do this as he mentioned that he is no longer going back to the Philippines hence no more future contributions. I don’t plan to make any more contributions myself and that I have less than the 120 required monthly contributions to qualify for pension. Am I able to get my previous contributions as a lump sum same as what my colleague? My colleague got the lump sum when he was in his 30’s. I’m 39 years old. Sorry I posted this originally in a wrong blog subject. Hello Nora, Great. One last thing, my previous contributions in SSS won’t matter for my lump sum, for as long as i have to pay the maximum amount for the last 60 months then I should get the maximum amount, too? Thank you very much in advance fro your response. Hi Tram, thanks for commenting here: 1. Yes, you get the same benefits from SSS and Pag-ibig even if you become a dual or Canadian citizen. 2. No, you’re not allowed to pay for past years or quarters. There are payment deadlines. For SSS and Pag-ibig, what you can pay this month is for July and onwards. 3. Yes, to save on remittance fees, it’s practical to pay every 3 or 6 months 4. For Pag-ibig, you can just pay the monthly minimum which is 200 pesos, and then pay 500 pesos or more to MP2. MP2 gives a higher interest than P1 and you can also claim this after 5 years or renew it for another 5 years. 5. Yes, it’s true that the pension amount will be based on your last 60 monthly contributions before your semester of retirement. You might want to choose b). The current minimum for overseas Pinoys is 550 pesos. Then start paying the maximum when you turn 54 and 5 months (you can stop at 59 and 5 or 6 months–this is because of the “semester of retirement” phrase). Check on contribution change rules from time to time — they might change the rules again. By the way, if your heirs need to get a higher amount from SSS in case something happens, you might want to choose a). I left the country last 2014 and immigrated in Canada. I have previous contributions to PAG-IBIG AND SSS and I’m planning to continue the contribution. 2. I stopped my contribution since I left for 2 years (PAG-IBIG AND SSS). Is it okay to pay the number of years that I didn’t paid while continuing my monthly contribution? 3. Is it okay to pay (PAG-IBIG and SSS) quarterly or bi annually? 4. What do you think is the ideal contribution for pag-ibig 1 since they don’t have a table of contribution like the SSS? Is is the more you contribute monthly the bigger your benefits after you retire? I am planning also to register in MP2. 4. I have the maximum contribution for SSS when i left the country.Is it that the last 5 years of contribution has a significant impact in your pension? Which one is better. b) continue paying with the minimum then increase to maximum in the last 5 years of your retirement or before you reach 65 years old. Please enlighten me and I will be waiting for your response. Thank you. SSS Pension recipient, now just turned 67 (July 18, 1949 born). She lost her China Bank Trust Debit SSS Pension Bank Card 2 months ago in Sydney, Australia. Please advise how to get a replacement Bank Card. Any instructions to apply for replacement of lost bank card. Hi alicia, SSS does not yet have a system for online filing for pensions. Check if there’s an SSS near your location, so you can file your pension claim there. You can also download all the needed forms from the SSS website, then print them, accomplish them, then authorize someone to process your pension claim via a SPA (docs can be sent through a courier). You can request beforehand from SSS using this email address ofw.relations@sss.gov.ph a Visa debit card application form (this form is not downloadable from their forms page) so you can accomplish it. yes she does file it every yr. would that be every 30 days of my moms bday or my dad? cause shes getting this sss from my dad when he passed. also its direct to the bank not visa. Hi kim, your mom will continue to receive her pension as long as she does not remarry and does not cohabit with another man. She also needs to file her SSS ACOP every year, around 30 days before her birthday. Is your mom receiving her pension abroad through a Visa card? question. my mom is currently receiving sss pension since my late father passed. she was pinoy citizen that time. now would it be affected if shes canadian citizen n still receiving the sss. shes still single since then. pls let me know as shes worried about it. Hi Sholem, I’m still finalizing my post about this. Is your father near a Philippine consulate or embassy where there is an SSS office so he can file his claim there? If very far, he prepares a Special Power of Attorney (should be authenticated by a Philippine embassy or consulate; maybe he can do it by mail there). The SPA should empower one of his children to process and file his pension claim and fill up and sign on his behalf any document required to claim. He also emails SSS ofw.relations@sss.gov.ph and request for the CTBC Visa debit card application form so he can fill it up and sign it. I Just have a question, my father and my mother are separated more such a long time, my father is already naturalized citizen in other country. He turned 60 last April and we are trying to get his pension since he also worked in the Philippines and have paid for more than 120 monthly contributions. We just wanted to get his pension since my parents are legally married here. We consulted this matter to my father and just wanted to ask what do we need to do/ get to process his pension even without him. Hi florepis, you can choose any of the major Philippine banks. Should be a single account, not a joint account. Present the atm card and a photocopy. Initial deposit slip is required if name and account no. are not printed on the atm card. If passbook, present the passbook and a photocopy. If you don’t have an account, you can ask for a Chinatrust Visa debit card application form from SSS. Hi Nora, it’s me again do i need to open an account in China bank or any bank will do to claim SSS pension. thank you for the reply.and i will go to Phillipines embassy in Qatar to ask what is the requirements..
Hi florepis, sorry, SSS does not yet offer online filing for death benefit claims. You can file your claim by issuing a SPA to one of your children. Give clear copies of your IDs (issued in the country where you are). I’m still doing my post on claim filing while overseas. I’ll give you the link after posting. If you live near a Philippine consulate where there’s a full-service SSS office, you can file your claim there. Hi Tess, no, not their old company IDs. I meant their current valid IDs. Can be passport, driver’s license, or US company ID (to prove they’re the ones asking for verification). Hi Ma. Teresa, yes, they can use a SPA to claim their benefit. Have they contributed at least 120 contributions? If yes, they’ll get a pension. If less than, they’ll get back what they have contributed plus interest. First, ask them to email you an authorization letter, with their names, dates and places of birth, authorizing you to verify their SSS numbers, date of coverage and no. of contributions, attaching a scan of their IDs. You print these and go to SSS with your ID and verify for them. Later on, I’ll give you the link to a post I’m still writing about how overseas residents can claim. I hope you can later on comment again here if you’ve verified already their SSS nos. Yes, your relative can authorize someone to file her pension claim on her behalf using a SPA. But since SSS said that a SPA drawn up in the Philippines is only valid for 6 months (I would have suggested drawing up a SPA now here in the Phils since it’s most likely cheaper here), you can ask SSS for all the SSS pension claim forms now and a list of requirements and ask your relative to accomplish them in NZ by December and then send the documents to the you via a courier. You can study the docs (date and signature portions; will her signature in the SPA in Dec be the same as her signature in the docs if signed now here?) and then decide if she can accomplish them now here in the Phils. and your relative will just send her SPA from NZ. State in the SPA she’s residing in NZ and include NZ address. Ask also from SSS the Chinatrust SSS All-Day Access Visa debit card form. Have clear photocopies of passport, SSS ID and/or valid photo IDs issued in NZ. Ask also further info at SSS. I hope you can share with us anything later on about your experience. Hi Faith, yes, before she gets back to NZ, she can have a SPA drawn up here in the Phils. empowering her representative to accomplish, file, process, sign documents and perform all other processes required to claim her SSS pension benefit. She states in the SPA that she resides in NZ and includes her NZ address. She can accomplish all the SSS retirement claim forms now and sign them. About the bank account for her pension, she can fill up the Chinatrust SSS All-Day Access Visa debit card form (get this form at SSS). Have clear photocopies of her passport, her SSS ID and/or 2 valid IDs issued in NZ. Ask further info at SSS. If she’s younger than 65, she needs to submit an Affidavit that she has stopped working and no longer earning income. Hi, I have a relative who’s now residing in New Zealand but she’s no longer working there. She went home just this month to file for her sss pension but she was told by sss that since she still has voluntary payments paid completely for the whole year 2016, she has to wait till the end of the year before she can file it. She’s set to go back to New Zealand this May and it will be difficult for her because she has parkinsons and also expensive for her and her husband to go back home again this year december. Can she assign someone here in the Philippines to file it on her behalf? Thank you. I really hope you can help me with this. Hi joan, I’ll email you. I am a NATURALIZED Filipino citizen then and now a naturalized canadian citizen. I don’t have a phil.address and don’t have a phil. Bank account anymore.I have paid more than 120 monthly contributions, can I claim for retirement benefits now that I am 60? What are the procedures for me to do so? Thank you and hope for your quick response. I’ll be turning 60 by Aug. this yr. I’m a permanent resident of other country. I contributed to SSS for 23 yrs. by or ‘thru 2 companies I worked before. I resigned in 2001. Our company closed in 2002. I don’t know how & where to contact & who will provide me certificate of separation from last employer. In their records of course, there was no more contribution after Sept.2001, is this not a proof that I’m already separated from my employer?. Don’t they (SSS) have list of companies that closed? It would be expensive to go home just to file for SSS pension. Can I assign an SPA to a relative in the Phil. to process? or can I process here on line? Hi Merly, thank you very much for being frank and for calling me out so I can correct it early. If that’s what SSS told you, then it’s great for you if SSS give exemptions to residents abroad or if they have changed the rules. I’m very sorry that I caused confusion. I’m puzzled though because they still require those cessation of employment, self-employment or practice of profession in their list of required documents. Also, for Philippine SSS pension claimants in Canada, they must declare they’re no longer employed and must submit employer’s termination notice or letter of resignation if under 65. There’s also this re-employment question in the annual ACOP form. Another thing: the 70-year-old pensioner in the UK that I cited in my post above filed for pension when she was 70, and she was paid a lump sum representing her pension for her past 5 years (from age 65 to 70, not from age 60 to 70), as she was still working even past 65. Thanks a lot again. Henceforth, if someone asks this question, I’ll know what to reply so that I won’t cause confusion. They should file. I’ll also email Joey, the one who specifically asked this question here on this post, and will rephrase my public reply. Hi ceci, thanks a lot too! I hope, if you have time, you share with us your experiences later on. I also gather info from comments. in the same predicament as we are. go this route first . Thanks again for your assistance ! 1. He can still file his claim because he’s still within the 10-year prescription period from the mandatory retirement age of 65. Sometimes they ask the reason for the delayed filing. 2. He can request for a Visa debit card application form from SSS or from CTCB Bank (SSS All-Day Access Card). Opening a bank account here through SPA is not yet allowed. member as long as it is stipulated in the SPA. 4. Yes, you can claim his past benefits and you can continue getting his pension. My husband has worked for 28 yrs in the Philippines , moved to the USA and is now a naturalized US citizen . He had planned to claim his SSS pension at age 70 but suffered a massive stroke that left his right side paralyzed. He is now unable to travel home to process his claim . He still has comprehension but is now unable to speak or write. So i have a number of questions for you ..
1. Will his claim be forfeited since he is now 72 yrs old ? Does SSS have a time frame for claims ? 2. How does he go about opening a passbook in the Phil for this purpose ? Can a relative open an account for him if granted an SPA ? 3. Since he cannot sign , SSS requires that fingerprints be affixed and witnessed by an SSS employee. Can this instead be done in a consulate office here? 4. If , God forbid , something happens to him before his claim is processed, would i , his wife , be able to claim his rightful benefits ? Thank you and more power to you ! Hi Nora, your blog is a big help. Thank you! It answered some of my questions through reading your reply to others about SSS and PAG-IBIG. However,I still have several questions and I am a bit confused. 1. I already have MP2 since September last year (2015). You mentioned that we have to continue paying our PAG-IBIG 1 while we are investing in MP2. I wonder how much do I need to pay for PAG-IBIG 1 since I am an OFW? Is it still P200? Or is there an ideal or required amount? 2. I have an existing loan in SSS and I would like to pay it in one time, do I have to go to SSS counter to inform them or can I just go to the bank directly for my payment? 3. I quit paying SSS since last year, is it possible if I will pay starting February 2015 (since my last payment was January 2015),pay the whole year up to present,or I will just proceed to 2016 payment starting January to December? 4. When can I claim my PAG-IBIG 1 savings, is it at the age of 60? If yes, is it in full cash or just part of it? Thank you in advance Nora!God bless you always. Hi Nora, my sister just turned 60 last Dec. 2015, she migrated to Canada for a couple of years now and she’s planning to come home this year to file retirement claim in SSS (she has over 120 contributions). When she left the country she continued her contributions as a Voluntary member. Is she eligible to receive her pension now that she’s 60 even if she is still working there? Will the same procedure be followed that she has to wait for age 65 when employment does not matter? If she is qualified what are the requirements needed? Would appreciate your prompt reply, thank you. Hi Vio, are you already 60 years old? and have you stopped working? Or are you willing to certify that you’re no longer working? If not yet, you’ll not yet be allowed to file your retirement claim. If you meant withdrawal of contributions, this is not allowed. It is Pag-ibig Fund that allows withdrawal of savings when the member has immigrated to another country. If already qualified, yes, you can authorize someone in the Philippines to process your retirement claim by giving him/her a SPA, which should be verified by the Philippine consulate there. Comment again if qualified, so I can email the list of requirements. Hi Nora, We’re planning to go for a vacation in the Philippines, and I’m now a citizen of other country. And I decided to get the lump sum amount of my contribution in SSS. Is there any chance that we can process that without me in the Philippines? What are the process/steps for this? Hi Christine, it’s good that you’ve continued to pay your SSS. SSS is for retirement, and you can claim only at age 60. You cannot claim for a lump sum before age 60. By the way, lump sum is for those who have not accumulated 120 contributions at retirement, and pension is for those with at least 120 contributions at retirement. But before age 60, you can claim sickness or maternity benefit if you’re eligible, even while abroad. Hi Emmanuel, so sad about your situation. But you should be here in the Philippines in person to file your retirement claim. Why? SSS will think that you’re still working if you’re still there in Saudi. For members 60 to 65, they should submit proofs that they’re no longer working. Do you have a bank account in the Philippines? You also need to present your passbook or atm card and a copy, and if you don’t have yet a bank account, you will need to open an account. If the SSS office there in Saudi is near you, you can also ask about your situation. I’ll email you the requirements in filing a pension claim. By the way, have you contributed at least 120 SSS contributions? Nora, im here in saudi arabia as ofw my problem is until now I cannot go home in Phil. The last departure in NAIA was on Feb. 2013 no time to file my pension because only 59 in that date.In about 3 years not go home.our company was turning down.our salary not given until now they support us only for food and lodging. We file a case from Saudi labor but nothing happened until now. Can you help me to claim my pension even I’m here in Saudi Arabia. My family need financial support. Please help me.. Thanks a lot. Hi Angela, yes, you can stop anytime. You can also continue but have gaps in payments, or miss some months, if you like. You can’t get your money back while you’re healthy and not yet 60. If your total no. of contributions at age 60 is less than 120, you can get back all your money plus interest. If your total is more than 120, you’ll get your pension. If you’re still working at age 60 to 65, you can’t get yet your pension. It’s at age 65 when employment does not matter. Thank you for answering Nora. But if for some reason and I decided to stop the self contribution, can I get my money back? Or how does it work if I’m already 60? Thanks a lot in advance. Hi Nora, when i left the country I’m paying the maximum amount of contribution (1760) based on the salary from employment. Is it ok to just continue the amount until i get 60? Can you please help me calculate what my pension would be if im a member and paying for 40yrs until 60? Thank you. Hi what if you must renounce your Filipino citizenship, can you also get back all the contributions? Good day Ms Nora!thanks for the information. It helps me a lot. I am 37 yrs. old and still paying my contribution as voluntary. I will Check my contribution and will think it over if I will continue paying. Thank you again. Hi Sharon, sorry that I overlooked your question about SSS. There’s no problem with your Voluntary category because you were employed before. Your member category is correct. Enroll in online SSS so you can track your records and see if you have a Date of Coverage. About your question on continued payments: Do you already have at least 120 monthly contributions? If yes, you can stop if you like. But it’s better to continue paying so you can increase the amount of your pension. I hope you’re currently paying the maximum monthly premium. How old are you now? About Platinum, I’ve sent you an email. Hello! Its me again Sharon M. Estoque. About my question on my SSS and Platinum Plans, Inc. I haven’t receive your comment. Will wait for your answer. Thank you. Hi Nina, because his pension stopped, he can submit his ACOP asap. But it should be him submitting ACOP from abroad to prove that he’s abroad and therefore unable to go to SSS in person. 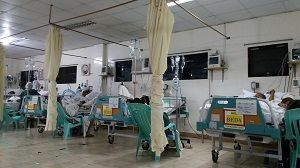 Read this: http://sssphilippinesnotes.blogspot.com/2015/09/philippine-sss-pensioners-acop.html Since it’s been more than 2 years that he did not communicate with SSS, I think he should submit a recent medical certificate or any recent medical/diagnostic document. Hi Nora. My father is a pensioner of sss phil. He is living abroad. For more than 2 years his pension stopped. We found out that yearly he should submit his ACOP form to SSS. Can I submit his Acop form to SSS anytime or do I have to wait for his birth month(May) before I submit it? Ang nanay ko ay isa beneficiary sa Tatay ko at kasalukuyang tumatanggap ng Sss pension. Sya ay 82 years old na. Ang Pension nya ba as a beneficiary ay pang habambuhay ba? Kahit umabot pa sya ng 100 makakatanggap pa ba sya ng monthly pension? I left and resigned from my work in the Philippines thus worked abroad. I continued my SSS payment under category of voluntary. Is there a problem on said category? What if I stop my payment, what will happen to my contribution? Can I get it earlier or will wait for my age 60? Thank you Ms. Nora for the info that you’ve provided me. I really appreciate it very much and pls. continue what you’ve been doing to our kababayans especially filipinos who’s living/working abroad like me! Thank you again and God bless you always! Merry xmas and Happy New Year to you and to you family! Correction to my Dec 19, 2015 reply to Joey. For others who are residents abroad or naturalized citizens: If you’re already 60 and still working, you may file your claim with SSS. Disregard what I told Joey. What I told Joey is not a statement from SSS. I’m not an SSS officer. (My disclaimer has long been on all my pages). It was how I interpreted the SSS rules, and what I have known from other sources such as from the Canada-Philippines SSS agreement. Hi Joey, you cannot yet file because you’ll still be working. If you’ll continue working, you can file at age 65. When you file for your pension, SSS will require you to submit a certification of separation from employment or an affidavit. Several of the SSS claim documents, including the annual ACOP form, also contain statements or check boxes where you state or affirm that you’ve been separated from employment. Hi Nora, i am naturalized U.S. citizen now and continued paying my monthly voluntary SSS contribution since i left the Phil. in 1986. I will turn 60 yrs.old in March, 2016, my question is can i file my SSS pension when i turn 60 yrs. old in 2016 eventhough i’m still working here in the U.S. when i reach that age (60 yrs. old).